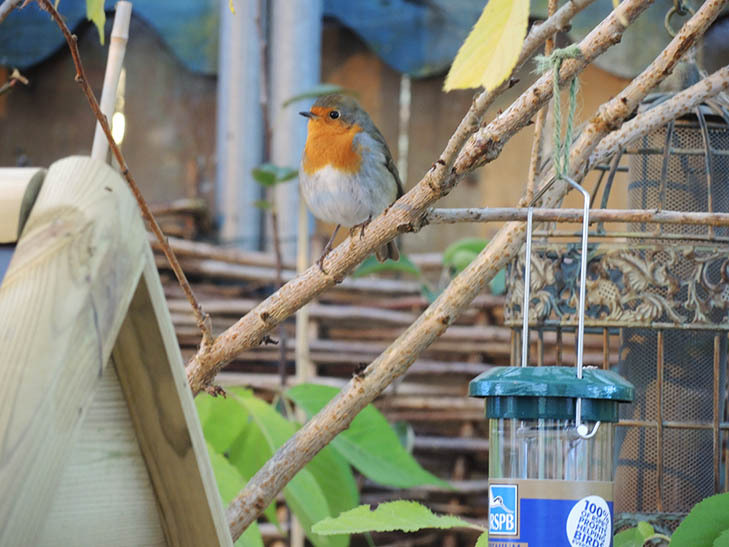 In one garden, hundreds of pounds have been spent on bird feeders, seeds and nesting boxes. And a bath. The garden now offers six star luxury full board accommodation to a host of feathery friends, including migratory visitors in the spring. The spirit of a garden is lifted into magical realms with the regular presence of birds, they enliven the senses even on a dreary winter morning. This friendly robin followed me as I perused the bird products at Burford Garden Centre. His conversation was heart-meltingly exquisite. I’ll have crusts in my pocket when I next visit.